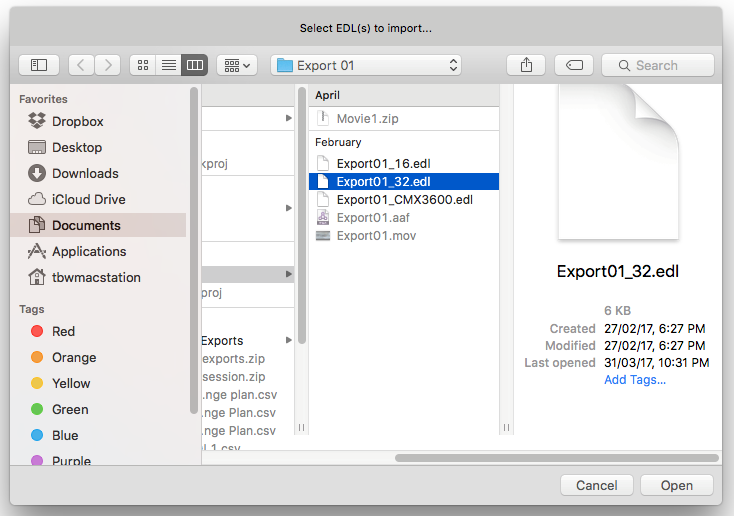 VirtualKaty 6 allows you to use only one List to upload information from the EDLs in the List into a Pro Tools session. We call this the Mirrored feature. Here are the main steps to follow when using this feature. Follow the steps mentioned in the guide, Prepare the Pro Tools session, before working with VK6. First, select the Timebase for the project. Make sure the timebase selected in VK6 is the same in Pro Tools. 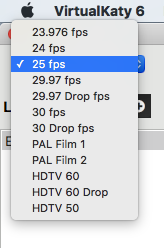 Select the EDL(s) you want to upload into VK6. If the picture has more than one EDL, Shift-Click to select them all. When you load the EDLs into VK6 and it will run sequentially to create the EDL List. You must ensure that EDLs are of the same type. The “Create New List” dialog box will popup. 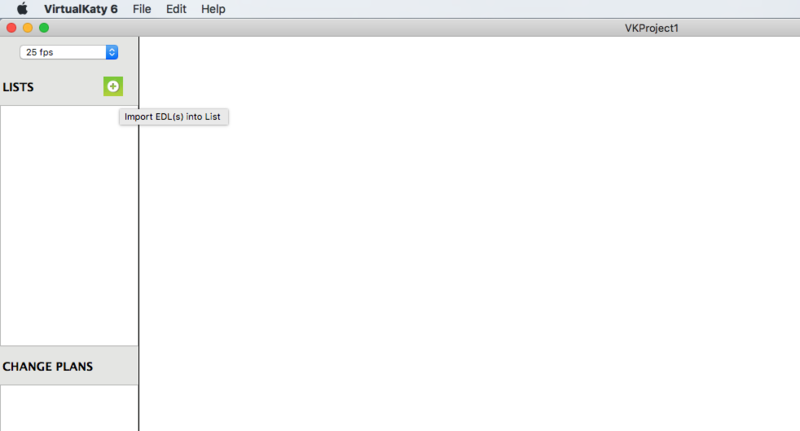 Enter a name for the New List and Click OK. Once done, you see the List view as shown below. 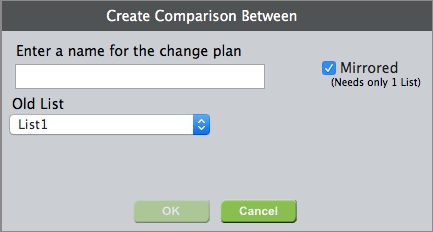 Click on the Mirrored check box in the “Create Comparison between” dialog box and select the List from the Old List drop down. Once done, enter a name for the Change Plan. 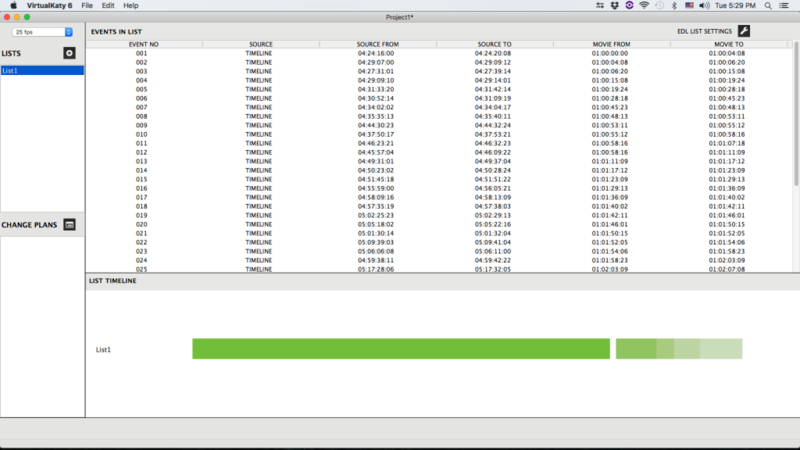 The window automatically changes from the EDL List window to the Change Plan window and you will see the following view. Look at the spreadsheet-like list shown in the picture above (“Change Plan Edits”). 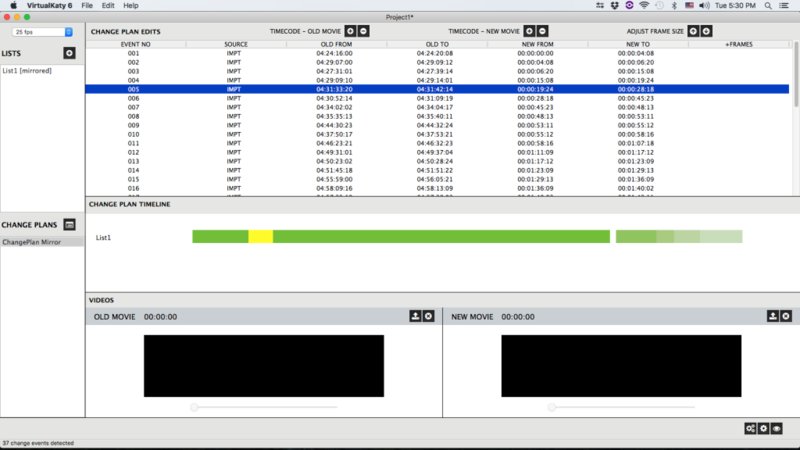 The first two timecode columns (OLD FROM and OLD TO) show where the original position of the EDLs are in the Pro Tools session while the right two timecode columns (NEW FROM and NEW TO) shows where the new position of the EDLs are going to be in the session. Change the final timecode position of the right two columns using the + and – buttons above the columns (Timecode – New Movie buttons). Make sure that the new position does not overlap with the original timecode since this can affect the conform results. 2. Save ProTools session: Remove the original session and save the conformed version as the new version of the ProTools session.